The comprehensive Social Media Influencer Package to set up an entity in UAE. Preferred service for UAE National Media Council approvals. United Arab Emirates: Ajman Media City Free Zone launches a comprehensive Social Media Influencer Package to further expand their service offerings for entrepreneurs and SME’s owners. Sheikh Abdul Aziz bin Humaid Al Nuaimi, Chairman of Ajman Media City Free Zone said: “The bloggers and influencers will receive full support as our preferred customer in obtaining all the mandatory UAE National Media Council approvals to set up their entity. “This new service is introduces to further boost the media industry and align with our commitment to facilitate entrepreneurs and media industry to flourish in UAE,” Sheikh Abdul Aziz bin Humaid Al Nuaimi, Chairman of Ajman Media City Free Zone. In another landmark decision Ajman Media City Free Zone has removed the mandatory requirement for the potential owners to visit the free zone office to set up a company. At present, most free zones in the UAE expect the potential owners to visit the physical office, thus the owners spend considerable time and money to plan their travel, visit and stay. “With this first of its kind service in the region, we are able to offer huge flexibility, cost savings and speedy services to the global entrepreneurs. 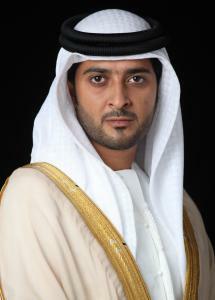 HE Mahmood Al Hashmi, C.E.O of Ajman Media City Free Zone said. “AMCFZ is committed the development of a sustainable UAE economy and increase our nation’s regional and global competitiveness,” HE Mahmood Al Hashmi, C.E.O of Ajman Media City Free Zone concluded.